help families achieve and maintain a high quality of life. 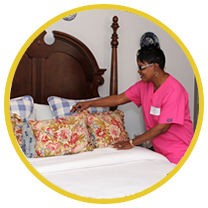 From deep, initial cleanings to weekly maintenance, we are sure to meet your family's housekeeping needs. GA licensed to provide companionship/sitter and personal care services in the comfort of home. An individualized plan is created and followed for each client. 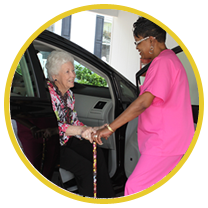 Transportation to appointments and home related support services are a few of the resources offered for seniors in our community. 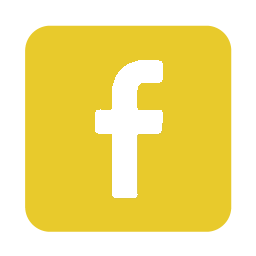 “MYD Services, Inc was recommended to me when my Family had a need for in-home healthcare and assistance for my elderly Mother. My sisters and I were eager to find the best care and assistance for our Mother that was available. 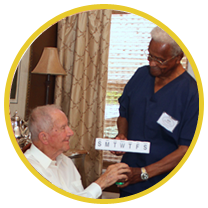 We found the best with MYD Services and have had a wonderful relationship and experience with their process, caregivers, support, and overall results for over two years. I first met with owner Barbara Smith and have had follow-up visits and meetings with Barbara and her daughter Kelly Smith Day. They are professionals and their process of healthcare, scheduling, screening and hiring the best people are all second to none.